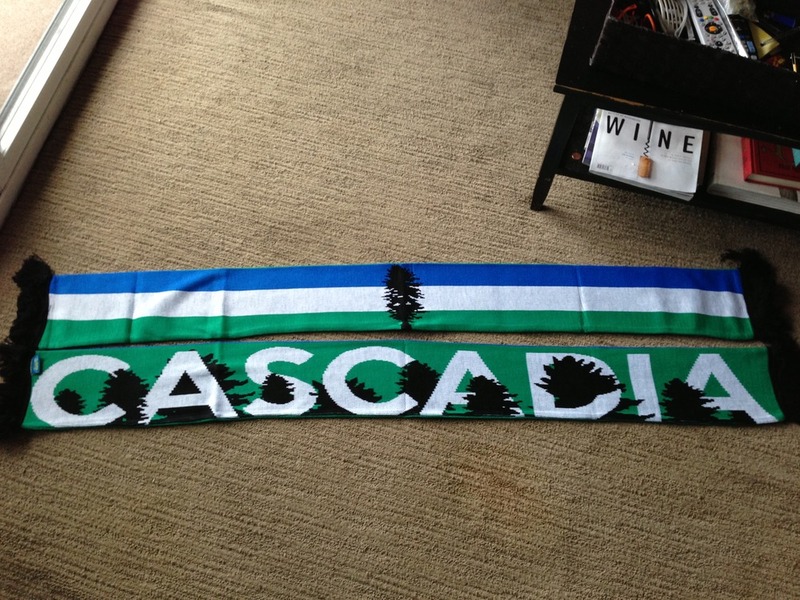 CascadiaNow! is a 100% supporter driven movement & organization. Become a member for a resilient & vibrant Cascadia bioregion. For those worrying about the increasing monetization of Cascadia related products and supporter group made competitions, all money made from these sales pays back investors, goes directly back into creating more merchandise, and supporting local grassroots Cascadia related clubs throughout the Pacific Northwest. 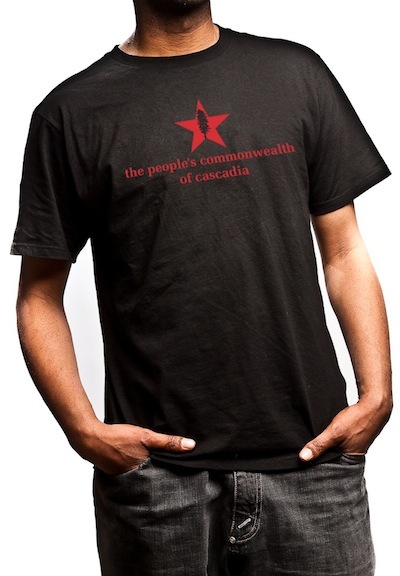 In addition to the wide range of Cascadia patches, flags, stickers, scarves and zines, a new ‘People’s Commonwealth of Cascadia’ T-shirt is available for $25 from the PDX Republic website. Made by local clothing company Anvil, and sold by the People’s Republic out of Portland, Oregon, all processes are kept within the bioregion, produced right here within Cascadia. The brand and apparel company are based around celebrating the unique characteristics of the Pacific Northwest as well as elsewhereand are dedicated to social, environmental, and economic initiatives that benefit people and issues directly. Through their sales, they support local, like-minded businesses and non-profits through promotion, sponsorship and donation, working to build a network of communities committed to create lasting change through collaboration and innovative decentralized approaches.